Former Moscow region prosecutor arrested | Russian Legal Information Agency (RAPSI). MOSCOW, May 6 - RAPSI. A Moscow court has granted the investigators’ request and sanctioned the arrest of Vladimir Glebov, a former prosecutor in the Moscow region. Glebov has been accused of bribery. Earlier, he was fired in an illegal casino scandal in the Moscow region, the Russian Legal Information Agency reports. Earlier today, the court put on the federal wanted list former Moscow Regional Deputy Prosecutor General Alexander Ignatenko and Eduard Kaplun, a former prosecutor. The accused had been fired in relation to the illegal casino scandal. The Federal Security Service claims the former prosecutors were in collusion with the illegal casino owners, who earned from $5 to $10 million per month from the illegal business. The court also agreed with the investigators that Glebov might seek to escape prosecution, exert pressure on witnesses, or destroy and conceal evidence. Glebov’s lawyer disagreed with the court’s decision and promised to file an appeal. 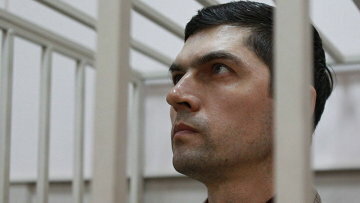 17:20 06/05/2011 A Moscow court has granted the investigators’ request and sanctioned the arrest of Vladimir Glebov, a former prosecutor in the Moscow region.